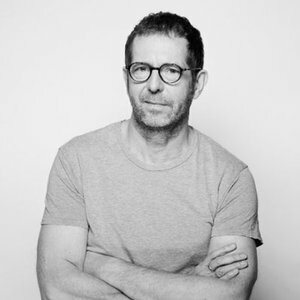 A graduate in philosophy and literature, Rémi Babinet began his career in 1985 as a copywriter at the French agency BDDP. In 1994, he founded his own agency with Eric Tong Cuong backed by the Havas group. In 1995, Mercedes Erra joined them and the agency became BETC. BETC is now an international network of advertising agencies with offices in Paris (BETC Paris and Rosapark), London (2011), Sao Paulo (2014), and Los Angeles soon (2017). BETC is comprised of 1000 people around the world. BETC Paris is the largest agency in France and one of the most creative in the world. BETC’s work has always stood out by its contemporary style, creative freshness and craftsmanship. It is behind a number of creative campaigns including the campaign evian Rollerbabies (230 million views - Guinness Book of Records) and the TV commercial “The Bear” for CANAL (the world’s most awarded TVC ever - Gunn Report). BETC is one of 8 agencies (and the only French one) to be in the agency ranking of the Gunn Report 13 years in a row. In May 2016, Forbes Magazine selected Rémi Babinet as one of the world’s 10 Best Creative Directors. He believes that advertising should engage with the world around it, creating new ways with which to interact with society and consumers. He has consistently challenged the traditional limits of advertising, opening up his agency to new creative fields and emerging talents: organisation of the mythic Panik parties with BETC POP, creation of the record label POP Records, publishing of the book Graffiti General, programming of new spaces such as the gallery Passage du Désir and soon a new creative space open to the public in the Magasins généraux in Pantin. With his influence, BETC has pushed the boundaries of advertising and has become a cultural and artistic forerunner. In July 2016 BETC moved to Les Magasins généraux in Pantin, a building dedicated to creation and innovation. BETC and in particular Rémi will take a major role in the rehabilitation of the city with a great involvement in cultural and social activities for the inhabitants of its new Greater Paris area.